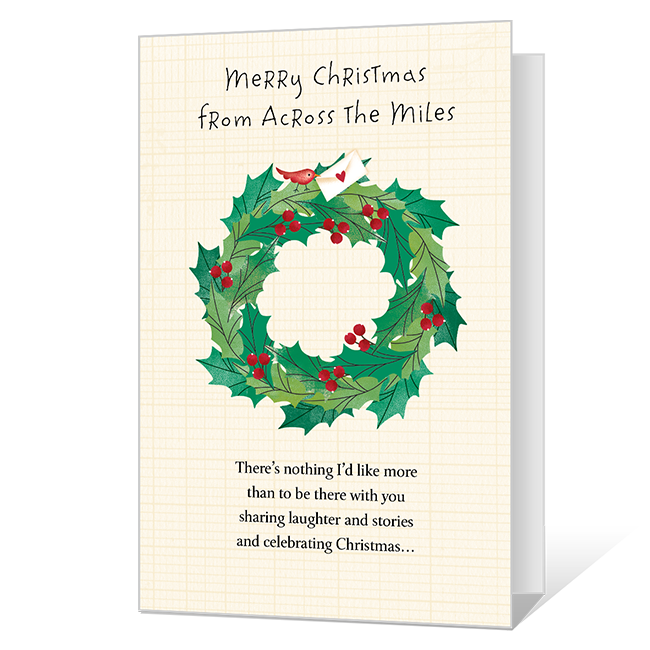 Cover Verse: Merry Christmas from across the miles. There's nothing I'd like more than to be there with you sharing laughter and stories and celebrating Christmas. Inside Verse: But I know our thoughts and favorite memories will keep us feeling close no matter where we are.